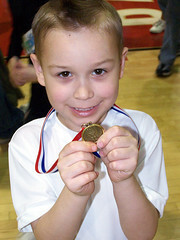 Here's BJ with his medal from the competition! His team also did great. BJ even landed a cartwheel!